Code Geass is going to release its season 3 soon. The upcoming anime is titled Code Geass: R3 Lelouch of the Resurrection (Kodo Giasu: Fukkatsu no Lelouch). The one of the most watched anime series is the creation of Sunrise studio. Goro Taniguchi and Ichirou Oukouchi have directed and written it respectively. The franchise includes anime’s two seasons, novels, manga, PS4 video games, and animation movies. It has been around 11 years since the first episode of this anime aired in October 2006. On October 8, 2016, the studio announced the revival of the hit anime and stated that it is coming for the CG season 3. There was a special event titled ‘CodeGeass: Lelouch of the Rebellion: Anniversary of a Miracle’ as a part of the 10th-anniversary celebrations of the series. The event featured some teasers and spoilers of the upcoming installment. It was teased that the next season will set in the future, several years after the events of the second installment. Also, a promo / trailer video was released. It featured some of the main characters like CC, SuzakuKururugi, Jeremiah Gottwald, Cornelia Li Britannia, and KallenKouzuki. Moreover, if you don’t know, a three-part film series was also announced at that time. And recently, a promo for the first CodeGeass film was also unveiled. It is titled CodeGeass: Lelouch of the Rebellion Episode I. It will be a recap trilogy. Its promo has also been launched and available below. However, there are no official updates on the season 3 premiere date of the anime. You should note that the production has already begun. But, according to expectations, it won’t come out until 2019. In the finale of season 2, Lelouch was featured dying, but in the official trailer, he appeared pretty much alive and in good condition. Now, Lelouch will sit on the Holy Brittania Empire throne. Once he had vowed to destroy the same. The story of the upcoming season will make rounds around the Lelouch’s adventurous journey of the saving the world from the potential war between the superpowers. 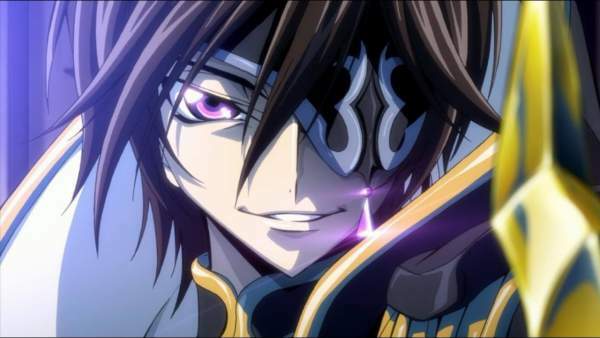 Lelouch will try to save the world with an organization known as Order of the Black Knights, and the Brittania Empire. He will put a full stop on the chaos set in the world. Later on, it will be found that a new terrorist group has been the reason of the conflict between the world’s current superpowers. The fans will witness the story in an alternate timeline. In there, the world is divided into three superpowers – the Holy Brittania Empire, the Chinese Federation, and the European Union. Lelouch has a sister named Nunnally, who can’t see and walk due to the trauma of watching her mother’s murder. Lelouch vi Brittania is an exiled Brittanian prince sent along with his sister to Japan as a bargaining tool. He vows to wipe out Brittania and thus, enrolls himself into Ashford Academy. After some time, he gets successful in obtaining the Geass powers and makes a contract with a girl named CC. She saved his life from a Royal Brittania guard. Then, Lelouch will decide to use his Geass and find his mother’s murderer and destroy the Brittanian Empire. Related: Owari No Seraph season 3. A very few information is made available since April 2017. Director Taniguchi confirmed their return with Re;surrection and said that Re;surrection is a sequel not to the original series, but to the recap films. The original films and recap films are in different universes, so that they don’t negate each other.